How Will Wall Street Affect Your Golf Plans? I was reading today about how the financial meltdown may lead to a glut of empty and unfinished golf courses. Golf, generally considered to be a discretionary activity, is expected to take a hit as Americans cut their spending. Do you plan to cut down on the number of rounds you play because of the financial crisis? As for me, I will be playing golf for free, on my computer. Taking Back the Ryder Cup! Watching the Ryder Cup this weekend I couldn’t help but think about the pressure the two teams were under trying to “win for their country”. While most of the players are friends, or are at least friendly to each other, during the PGA season, it was clear that the friendships were put on hold this weekend. Anthony Kim, who was unbelievable taking down Sergio on Sunday, was not shy about making Sergio putt those little testers. 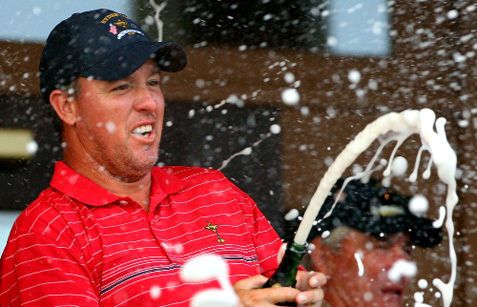 Boo Weekley and his down-home southern personality rubbed some of the Europeans the wrong way, but his determination and sense of humor kept the Americans loose. Hunter Mahan, another Ryder Cup rookie, was solid. All in all, it was a fantastic event! The most amazing thing from the weekend was the realization of just how good these players really are. It seemed like every putt went in, and every approach shot was next to the pin. I am in awe of all of the players. I can’t wait for two years from now when they get to do it all over again! What do you think was the biggest moment or momentum changer for the US? I think Kim dominating Sergio as the first twosome of the day set the tone. The Europeans could not muster up enough game to take down the Americans after that! Good job USA! 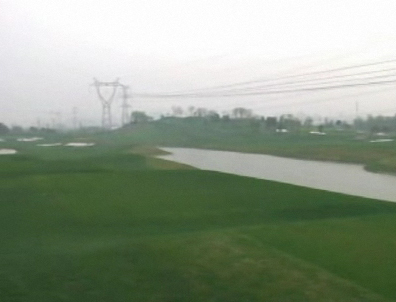 In China, “official numbers” never tell the whole story, and golf is no exception. New golf courses are said to be springing up every day, despite a ban on new courses that has been in effect for five years. At the Bayhood No. 9 International Golf Club, breathtaking scenery and luxurious accommodations intermingle with views of power lines and cranes, all partially veiled by pollution. But no matter, golf courses are packed from morning until night. Overpopulation has its advantages too. When you play a round at Bayhood No. 9, each player gets two caddies. Play with three of your buddies, and you’ve got an entourage fit for a minor celebrity. I hope all of you are having a great Labor Day and enjoying the time off. If you get a moment please check your local TV station or go here www.mda.org to watch the Jerry Lewis MDA Telethon. WGT is a proud partner of the MDA to further the treatment, diagnosis and bettering the lives for people with muscular dystrophy.